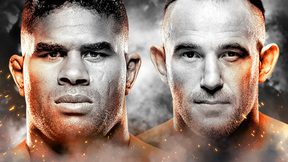 For its 3rd consecutive event, the Octagon setup shop in New Jersey for UFC 32: Showdown in the Meadowlands. 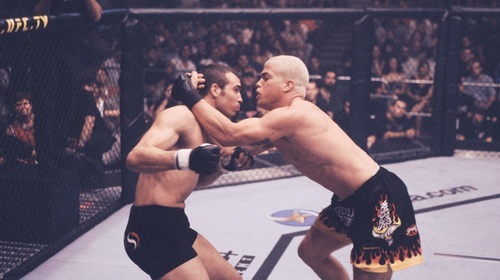 In the main event at the old Continental Airlines Arena, UFC light-heavyweight champ Tito Ortiz battled Australian submission ace Elvis Sinosic. 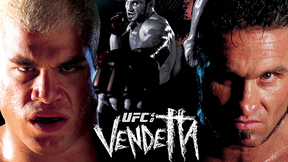 Tito Ortiz vs Elvis Sinosic UFC 32 Fri, Jun 29, 2001 (20:46) In the main event melee, UFC light-heavyweight champion Tito Ortiz, who scored back-to-back first round finishes in consecutive title defenses, was set to take on a Brazilian jiu-jitsu blackbelt challenger from Australia - Elvis Sinosic. BJ Penn vs Din Thomas UFC 32 Fri, Jun 29, 2001 (11:30) The 2000 World Jiu-Jitsu Championships gold medal winning BJJ blackbelt, BJ Penn, proved he could strike by winning his first UFC bout via TKO. Penn’s second test would be fellow against a BJJ blackbelt and an Octagon rookie with a 12-1 record - Din Thomas. 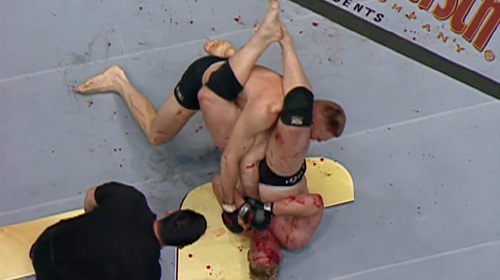 Josh Barnett vs Semmy Schilt UFC 32 Fri, Jun 29, 2001 (12:31) A clash of the titans as the 9-1, catch-wrestling star Josh “Baby-Faced Assassin” Barnett aimed to get back on the winning track by tangling with the 6’11” karate blackbelt Semmy “Hightower” Schilt, who had a successful UFC debut TKO of Pete Williams. 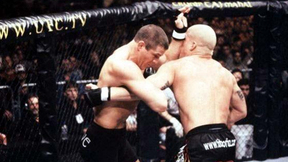 Pat Miletich vs Shonie Carter UFC 32 Fri, Jun 29, 2001 (18:11) Returning to the Octagon for the first time since losing the UFC welterweight strap, “The Croatian Sensation” Pat Miletich started his trek back to the top by taking on always entertaining Shonie Carter, who was coming off an unforgettable spinning back fist KO. 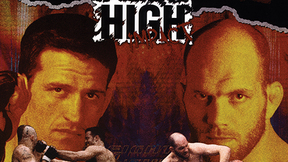 Caol Uno vs Fabiano Iha UFC 32 Fri, Jun 29, 2001 (10:31) Making his second UFC appearance, Japanese MMA superstar and former ADCC submission wrestling silver medalist Caol Uno was ready for a lightweight war against Octagon veteran and BJJ blackbelt Fabiano “King of Armbar” Iha. 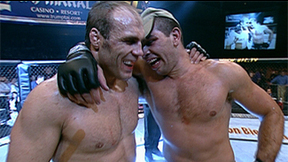 Vladimir Matyushenko vs Yuki Kondo UFC 32 Fri, Jun 29, 2001 (23:55) Former Soviet National wrestling champion with a 9-1 pro MMA record, “The Janitor” Vladimir Matyushenko marked his Octagon debut against 31-9-3 Japanese MMA star Yuki Kondo in his return to UFC action since challenging Tito Ortiz for the title. Ricco Rodriquez vs Andrei Arlovski UFC 32 Sun, Jul 29, 2001 (21:06) It’s hard to believe these future UFC heavyweight champs battled in a preliminary bout, but that's exactly what occurred at UFC 32 as Sambo specialist Andrei “The Pit Bull” Arlovski made his second Octagon appearance against the accomplished BJJ blackbelt Ricco “Suave” Rodriguez, who was making his UFC debut. Tony DeSouza vs Paul Rodriguez UFC 32 Sun, Jul 29, 2001 (8:51) Following his debut decision win, former NCAA Division I wrestler and BJJ blackbelt “The Peruvian Savage” Tony DeSouva was set to tangle with Octagon rookie Paul Rodriguez, a 6-3-1 fighter out of the American Top Team.